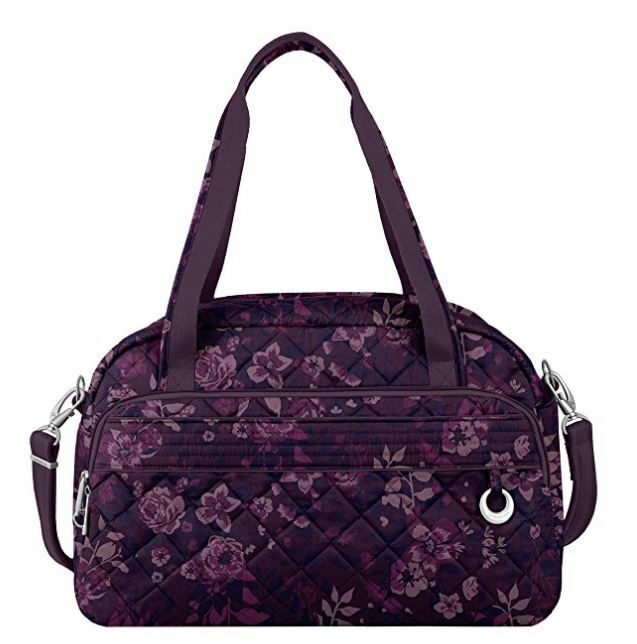 Crossbody handbags are always a popular choice for travelers. They’re practical, comfortable, and can keep your belongings safe from pickpockets with built-in anti-theft features. A zipper closure that locks down. The number one feature to keep the hands of a pickpocket out of your bag is a zipper with a zipper pull that locks down with a clip to prevent it from being pulled open. Both Pacsafe and Travelon Bags offer this as standard issue on their travel bags. A hidden flexible wire in the strap. A flexible wire embedded in the bag strap prevents slice and run theft. Slice and run thefts typically happen more in crowds and busy tourist locations. Have peace of mind knowing your strap is slice resistant. A panel of wire mesh. Fused in the lower portion of the bag should be a wire mesh that stops bag slashers from cutting through your bag. The most vulnerable part of any bag for this type of crime is the lower and lower sides of the bag. Thieves who cut bags are looking for the bag contents to fall out into the awaiting hands before running off with them. A pocket with RFID protection. Passports and credit cards contain your personal information embedded inside them. This information can be read by hand-held RFID readers up to 10 feet away and even through your bag. Store your credit cards and passport inside a RFID blocking pocket of your bag to shield your personal data from theft. What size handbag are you looking for: long & skinny, small, medium, or large? Be like Goldilocks and find the right size for your next trip. Each size can hold a different number of items but they’re all anti-theft to safeguard your valuables. 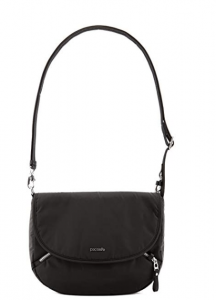 Stylish anti-theft crossbody bag that converts in size when you need it. 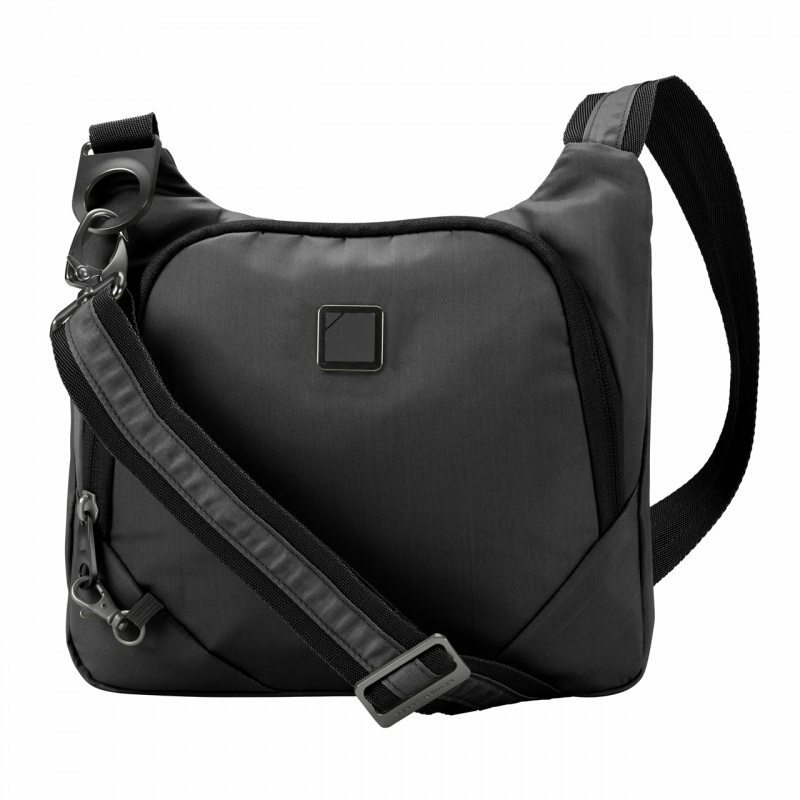 The Citysafe CX Anti-Theft Convertible Crossbody expanded bag fits a tablet. Folded down it’s perfect for an evening out. As with all Pacsafe bags, this bag has built-in security features to deter thieves, including digital or e-thieves. This travel wallet features two zippered pockets aside from the main compartment. One is on the exterior front of the wallet, and the other is inside. You can wear it three different ways: around your neck, across your body, or clutch style by detaching the strap. This crossbody handbag is cute and versatile. VIDEO: Make travel easier and safer with gear that provides security, organization, and peace of mind. 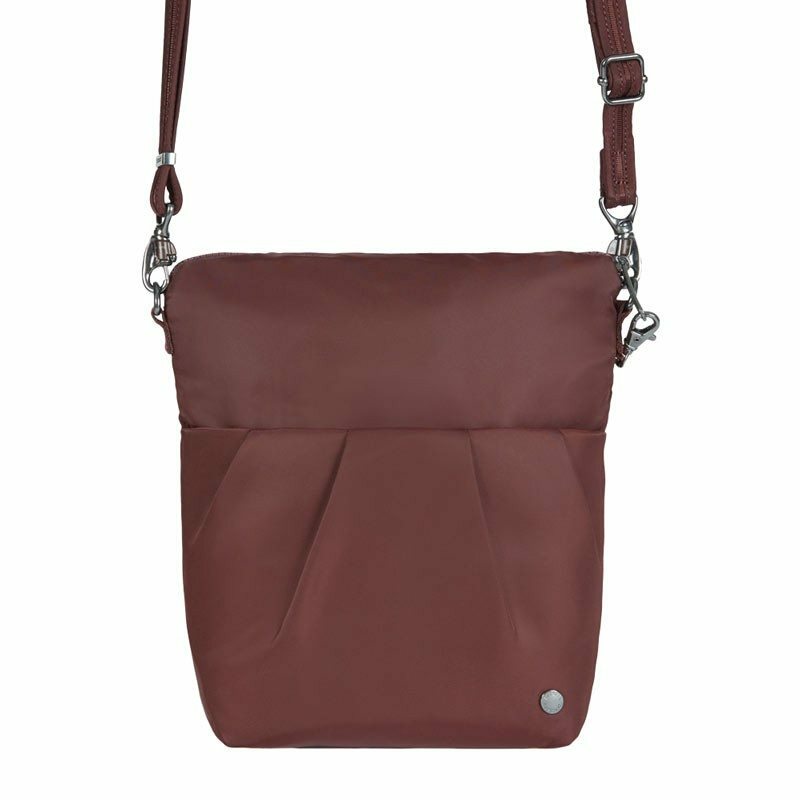 While the Anti-Theft Classic Light Convertible Crossbody & Waist Pack is compact, it is big enough for all your basics. You can lock down the zippers on both pockets of this bag for extra security to keep those basics secure from pickpockets. Protect yourself and your belongings all while being hands-free. VIDEO: Perfectly sized, the Anti-Theft Boho Slim Crossbody Bag will go with you long after your travels are over. The locking main compartment has RFID blocking technology to stop e-thieves from reading your personal information embedded in credit cards and passports. Well thought out compartments will keep your essentials organized and handy and the adjustable slash resistant strap secures to a stationary object to prevent grab and go theft. The Travelon Anti-Theft Crossbody RFID Blocking Bag is a great travel bag when you want style with security and hands-free convenience. Its slim profile and crossbody design is comfortable and looks fashionable no matter what the season, expressly designed to be worn the most secure way which is slung across your body. This classic silhouette which effortlessly blends clean, simple lines and spacious compartments with practical features designed to help outsmart thieves is a terrific crossbody bag. The main compartment has ample room for a tablet and essentials, while the organizer pockets keep credit cards and other essentials secure. The Anti-Theft Signature Crossbody Bag has slash-proof body panels, locking compartments, slash-proof straps, and RFID blocking slots. The Anti-Theft Signature 3 Compartment Crossbody Bag is a lightweight bag features 3 locking compartments to provide discreet, yet highly effective protection against pickpockets. The signature pleats on the front & brushed brass zipper accents, add style & and a fashion-forward look, fooling anyone into thinking this is just an everyday bag! This medium-sized bag infuses style and security into what will be your favorite travel bag. Lightweight and with decorative hardware that does double duty as built-in security features. One opening to secure and to hold your essentials for peace of mind. The Anti-Theft Weekend Bag offers a larger crossbody bag for your next trip. The bag has a complete suite of built-in anti-theft features such as locking zippers, slash-proof construction including all straps and RFID blocking pockets. There are so many purses, handbags, messenger bags, and totes available. For a wider selection, visit Corporate Travel Safety on Amazon.